After 9 long years there is a sequel to Max Payne 2. Max Payne 2 was a great game that I loved playing on the PS2 but now that 9 years have passed and we have the 3rd game in the Max Payne series lets see if Max Payne still has it after a long break. A brief explanation of the story is Max Payne has left New York to find work in Sao Paulo, Brazil. He is now the private security guard for the very rich Rodrigo Branco but in true Max Payne everything doesn't go to plan as Rodrigo's wife gets kidnapped and it is Max Payne who will have to find and rescue her. The gameplay is the run and shoot everyone in your way type of game but it has many different features added to spice up the shooting so it doesn't become boring and the same old stuff. The main feature added to the gameplay is the special kills, the kills are pretty damn cool looking and can range from jumping forward or backwards in slow motion while you shoot some bad guys hopefully in the head (I will talk about why aim for the head later in the review) another one that stood out as pretty cool was when you shoot the last bad guy out of the group and you can choose to slow the bullet down while there is a close up of the bullet, once the bullet hits you can be a jerk and shoot him a few more times while he is falling down. It should be known that this game is not easy and can be very frustrating at times, this can be a good and bad thing for some people as some like the challenge and some just don't like the challenge and like to play the game smooth with no problems. The game is difficult simply because the AI is smart, an example of the AI being smart is if you stay in cover at the same place for too long the AI will notice and will end up killing you. The feeling I get from the game is that it doesn't want you to to stay in one area and shoot mindlessly at the bad guys it wants you moving around and use smart tactics or you will you be killed. Health can be restored automatically but if you are on critical health you will have to use painkillers. You might be happy to know that if you fail multiple times on a certain part of the game that you will be given extra painkillers to make the part easier for people. The story mode will take around 10 hours to complete which is OK I guess, it did feel kind of short but 10 hours is again still OK. You will notice while playing the main story that cutscenes can be VERY long the longest cutscene was around 10 minutes! This can be bad for some people who don't like to be taken out of the gameplay and want to keep playing the game. I also noticed the cutscenes to have this flashing special effect that I didn't like and kind of got annoying after a while. The overall story was decent but as this is a non spoiler review lets just keep it at it was a decent story. Max Payne 3 is not your normal Rockstar game there is no free roaming like previous Rockstar games like GTA and Red Dead it is a linear game it should be noted to people who might be new to the Max Payne series and would like to know if this will be an open world game no its a totally linear game. Don't get me wrong its not a bad thing that the game is linear there are many great games that are linear/don't have open world free roaming. OK so you have finished the game and you are hopefully satisfied with the main story and decide to keep the game you are thinking "What do I next?" 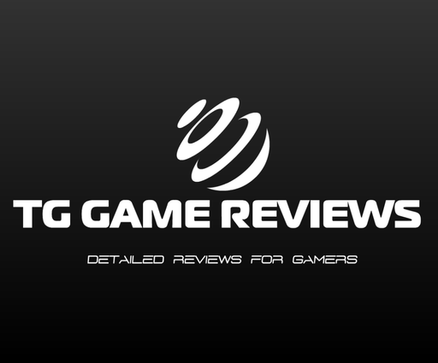 The next part of the review will tell you what you can do once the main game is over this will include multilplayer modes and extra single player modes. will leave you entertained for months. 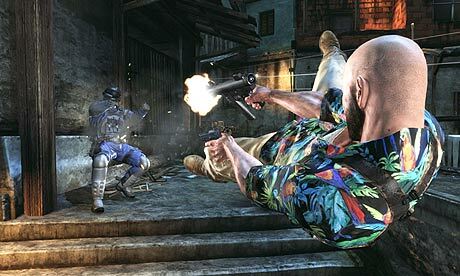 To add to the stacked content of Max Payne 3 there is also Arcade Mode. This has two different options Score Attack and New York Minute. Both are kind of the same as you play through parts of the game with a score added to it. You increase your score by kills and by not taking any damage. The difference between the two is that in New York Minute there is a timer and you need to kill to increase the time. Max Payne 3 managed to be another solid addition to the Max Payne series. The highest point of the game easily is the muliplayer and I am not even a big fan of online muliplayer and even I had a blast playing Gang Wars. The single player story is decent and is kind of short clocking in at around 10 hours. The amount of content in this game is unbelieaveable with the story mode, arcade modes, muliplayer, unlockables, rankings and others will keep you playing longer than the average game. Do I recommend Max Payne 3? 100% yes. Well written review. I enjoy the minute details you use when reviewing. I really enjoyed teh first two so this one is a no brainer.